Great idea, right? I sure thought so. I immediately set it to switch back to the 'home' comfort setting when I entered my neighborhood. Cool that house down before I open the door! After spending the day at my office, I headed home, and as I approached my neighborhood, I heard a little ping on my phone. It was a notification from Ecobee that my thermostat had switched to the 'home' comfort setting before I even reached my garage. I walked in, and the air conditioning was already running. I was really feeling that smart home buzz. Setting the geofence and the notification you get when you enter it. As night fell, I noticed it was getting cold in the house. I checked the thermostat, and it had not just switched into 'home' mode, it had switched to 'home and holding.' 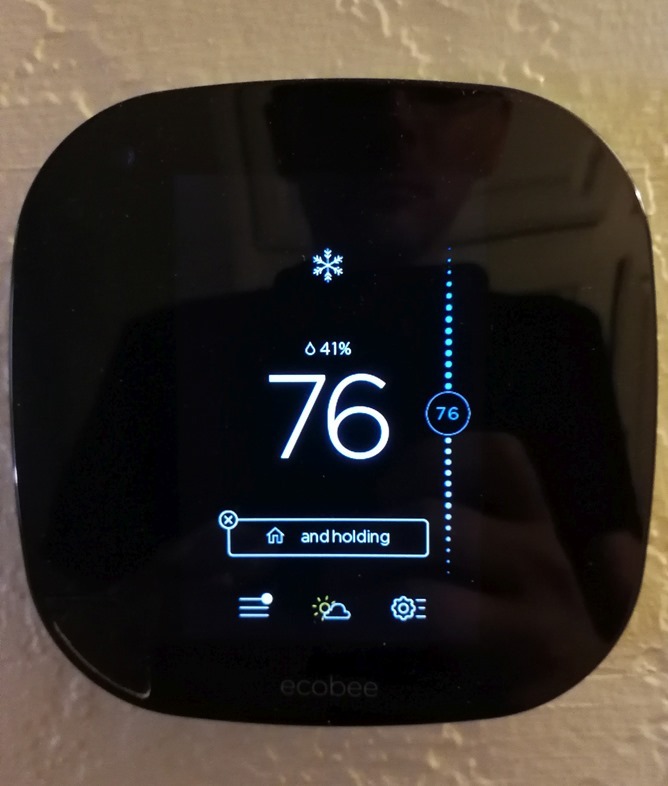 For those of you who may be unfamiliar with smart thermostats, that means it will stick with the 'home' comfort setting until I manually take it out of that mode. The problem arises when you have additional comfort settings such as 'night' with different temperature settings. Ecobee in a holding pattern. The problem is further exacerbated by the fact that it will no longer take its occupancy sensors into account. If you leave the house again, it will remain in 'home' mode. The bottom line is that entering your geofence and choosing a specific comfort setting (e.g. 'home' or 'night') strips the thermostat of its intelligence. 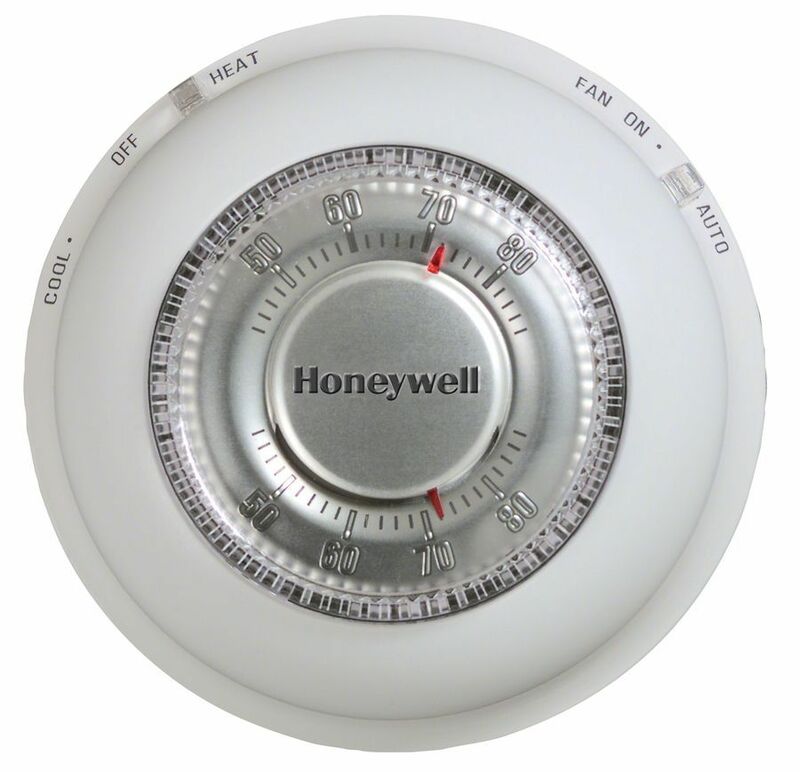 If you don't manually tell it to resume its schedule, it's going to act like the little round, mechanical thermostat you had when you were a kid. I contacted Ecobee and they offered me a workaround. They suggested I set it to switch into 'away' mode when I leave the geofence and back into 'home' mode when I enter the geofence. 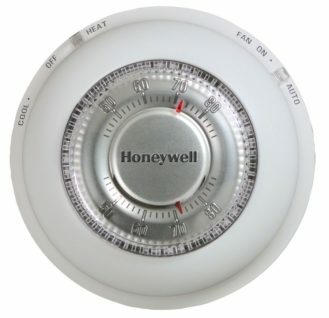 Unfortunately, your expensive thermostat will still be pretty dumb. Its occupancy sensors will no longer be considered. Any other profiles you use will no longer be applied. If you live with anyone else, they'll just have to sweat it out every time you leave (or remember to go tell the Ecobee they're still in the house). 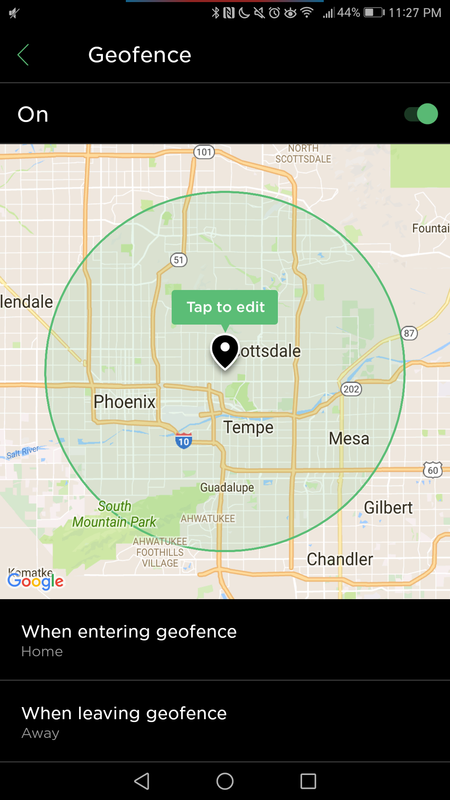 You can use the geofence feature to resume your schedule, rather than picking a specific comfort setting when you enter the geofenced area. This is the only usable choice for the geofence feature at this time. Choosing a specific comfort setting will cause the Ecobee to lock into that mode indefinitely. The appropriate implementation of this feature should be to have it use the selected comfort setting until the next scheduled change. I didn't get the impression that Ecobee was acknowledging this as a serious problem with their geofence feature. 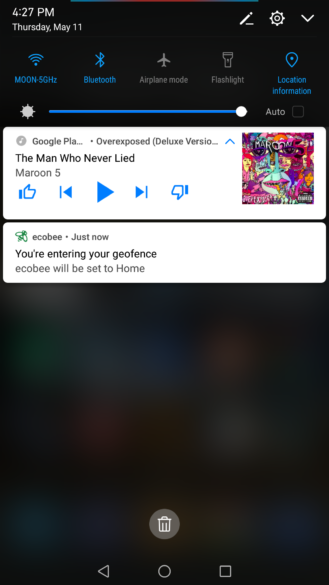 Let's hope they push out an update that protects the Ecobee's intelligence when using the geofence feature. 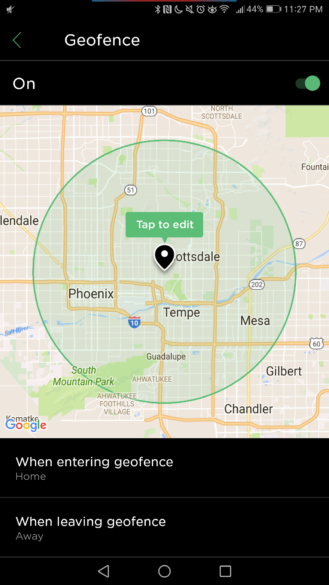 In the meantime, you can use IFTTT to achieve a functional geofence for now. Ecobee support even sent me a link explaining how to do that with Life360, but you can also do it without.